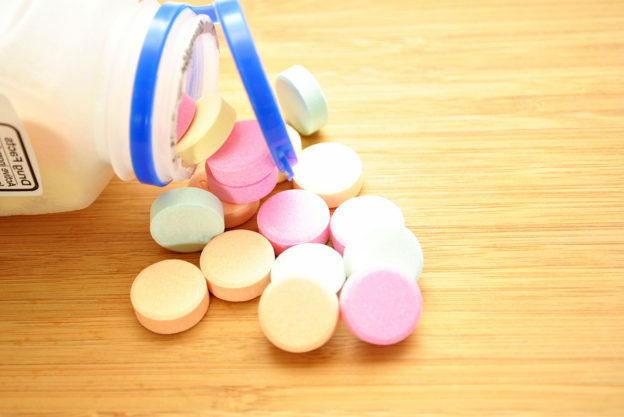 These fall into a class of antacids called proton pump inhibitors (PPIs). And they have a terrible effect on your body. They boost your chances of heart disease, dementia, kidney dysfunction and bone fractures. They impair your body’s ability to absorb vitamin B12, which can lead to deficiency. They also contribute to an imbalance of healthy gut microbiota that can lead to an antibiotic resistant diarrheal infection called c. difficile. Until recently, nobody really knew WHY these drugs have such an unhealthy impact on your health. But we may be getting a little closer to developing a better understanding of it. Are Heartburn Drugs Aging Your Cells? There’s absolutely no question about how PPIs work. They switch off the mechanism that pumps acid into your stomach. Well, your body is loaded with tiny cellular organs called lysosomes. They work in way that’s very similar to how your stomach works, but on a cellular level. Basically, their inner membranes contain acids and enzymes that break down cellular debris for recycling. This rids your body of things like misfolded proteins, damaged mitochondria and intracellular bacteria that can damage your cells. It’s part of a process called autophagy. Lysosomes have an internal proton pump that helps them maintain exactly the right amount of acid they need to do their job. When you shut that pump down, they can’t churn out enough acid to produce the enzymes necessary to “take out the trash”. This is exactly what happens to human cells treated with Nexium. They simply can’t generate enough acid to clear out all of that cellular rubbish. 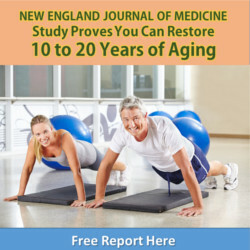 As that waste accumulates, it causes the cells to age more rapidly. This is the same thing that happens when autophagy can’t occur. And simply put, when cellular damage exceeds the rate of repair it’s going to result in accelerated aging. More importantly, when this system goes awry it can lead to mitochondrial dysfunction, heart disease and neurological disorders, like Alzheimer’s and Parkinson’s disease. So let’s take a look at some ways to get rid of your heartburn… and clear out all of that cellular rubbish. One of the first things you should be aware of is this: In my experience, most patients with acid reflux are suffering from too little acid, not too much. That’s right. If you suffer from heartburn, acid reflux, sour stomach and other digestive complaints, you might not have enough stomach acid. The symptoms are pretty much identical whether you have too much or too little. To find out if low stomach acid is the source of your woes, take a tablespoon of apple vinegar the next time heartburn strikes. If the pain disappears, it’s a pretty good indication that your body isn’t producing enough hydrochloric acid. This is an issue for many of us over 60 years old. In this case, restoring your body’s natural production of stomach acid is at the top of your priority list. And it’s easy enough to do. Just take 325mg-650 mg of HCL betaine with pepsin at the beginning of each meal. If you experience a slight burning sensation in the pit of your stomach then decrease the amount taken next time. You can also restore a natural acid balance in your digestive system by taking digestive enzymes. Taking a mixed blend of amylase, lipase and other digestive enzymes helps break down food in your digestive tract and reduce gastric upset. And the simplest thing to do is to chew your food well; digestion begins in your mouth, that’s where the salivary enyzmes are to prepare your chewed meal for the next steps in absorbing the nutrients you need from the food you eat. Adding a high quality probiotic is another good idea. Look for one that contains multiple strains of lactobacillus and bifobacterium. The more strains and the higher the colony count, the better your results will be. And what about getting your lysosomes working properly to get rid of all that cellular waste that’s aging your body? Well, forcing your body into autophagy can upregulate the function of your lysosomes. The best way to trigger this process is by restricting calories. However, cutting calories regularly is something that the average person has a hard time accomplishing. That’s why I often recommend something called daily intermittent fasting. It doesn’t require you to slash your caloric intake. You simply need to limit the time window during which you eat them to eight hours or less each day. Then fast for the remaining 18 or so hours. During this fasting period, your body will automatically initiate autophagy. This, in turn, will rid your cells of waste and make them work more efficiently. You can also supplement with resveratrol (50 mg) and pterostilbene (25 mg) daily. These nutrients act as calorie restriction mimics. They activate your Sirt1 gene, which plays a role in the regulation of autophagy and helps protect your mitochondria. Heartburn drug damages blood vessel cells in lab finding. Press Release. American Heart Association. May 2016. Marzetti E, et al. Role of mitochondrial dysfunction and altered autophagy in cardiovascular aging and disease: from mechanisms to therapeutics. Am J Physiol Heart Circ Physiol. 2013 Aug 15;305(4):H459-76. Yue, Zhenyu et al. The Cellular Pathways of Neuronal Autophagy and Their Implication in Neurodegenerative Diseases. Biochimica et biophysica acta 1793.9 (2009): 1496–1507. PMC. Web. 26 May 2016. Zhou J, et al. Activation of lysosomal function in the course of autophagy via mTORC1 suppression and autophagosome-lysosome fusion. Cell Res. 2013 Apr;23(4):508-23. Alirezaei M, et al. Short-term fasting induces profound neuronal autophagy. Autophagy. 2010 Aug;6(6):702-10. Is Your Digestive System Beating You Up? I have Barrett Esp DK has me on Nexium . What can I do to get off this ? ?